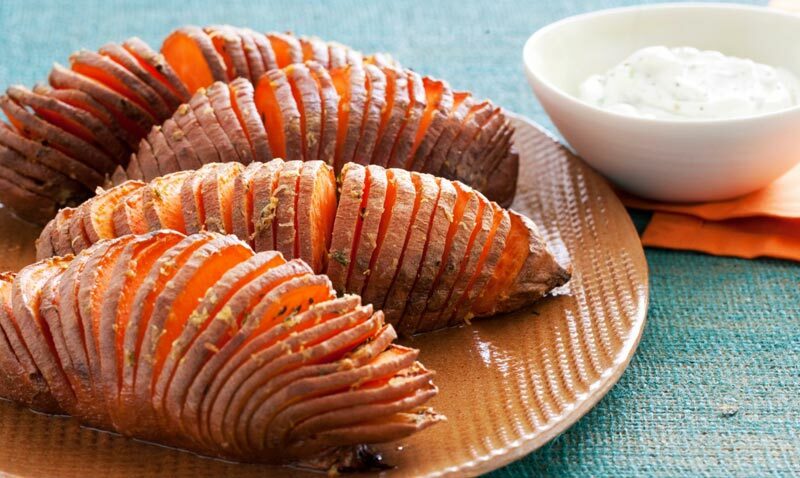 Whether you eat them steamed, mashed, or baked, there are lots of good reasons to love sweet potatoes! Here are some surprising health benefits of this orange veggie. 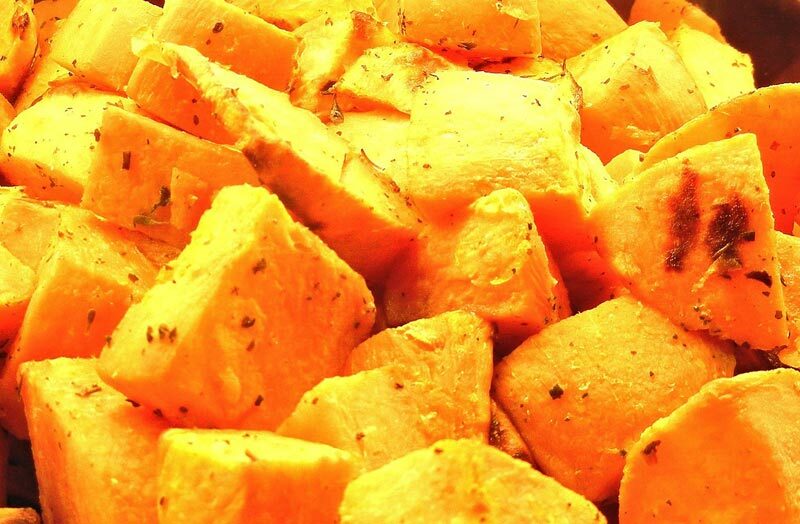 Sweet potatoes are among my two-year-old son’s favorite foods right now. Even when he’s going through a picky toddler phase, I can usually count on him to eat his sweet potatoes. Since he eats them so much, I wanted to dig into the health benefits of sweet potatoes. Along with healthy doses of vitamins A and C, I discovered some compelling reasons that we should consider following my son’s lead at supper time! Sweet potatoes support our health in many ways, but the star nutrient that they provide is vitamin B6. Sweet potatoes are one of the richest plant-based sources of vitamin B6. Other plant-based sources of B6 include potatoes, sunflower seeds, spinach, and bananas, but sweet potato surpasses them all in B6 content. 1. This B vitamin is crucial for maintaining healthy blood. Your body uses B6 in the process that carries oxygen through your bloodstream. 2. You also need vitamin B6 to properly break down carbohydrates. Without it, you’d suffer from reduced energy levels. 3. Our bodies also use the vitamin B6 found in sweet potatoes to support brain health and mental health. There is research suggesting the a B6 deficiency is linked to depression and to ADHD. 4. 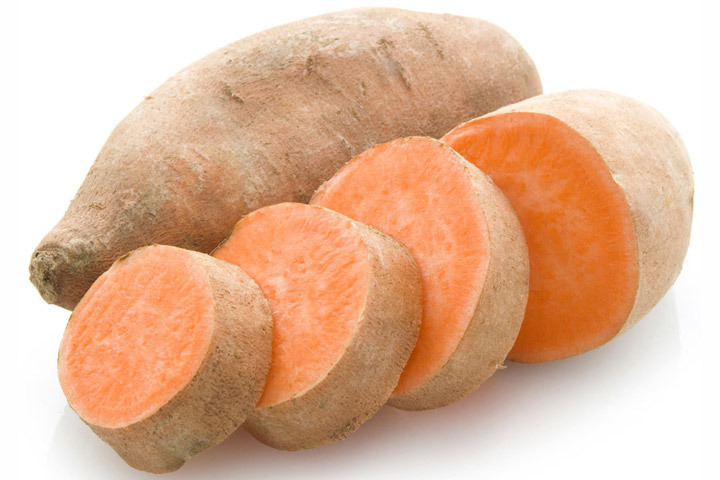 Support your liver by eating B6-rich foods like sweet potatoes! This vitamin is a key to helping your liver break down chemicals in your body, so that your liver can process them properly. Beyond B6, there are some other compelling reasons to eat more sweet potatoes. 5. There are many good food sources of vitamin A, but a 2007 study suggested that sweet potatoes do the best job of raising blood levels of vitamin A, especially in children. If you want to maximize that absorption, include a little bit of fat with your sweet potatoes. A drizzle of olive oil or a side of sliced avocado is all it takes. 6. 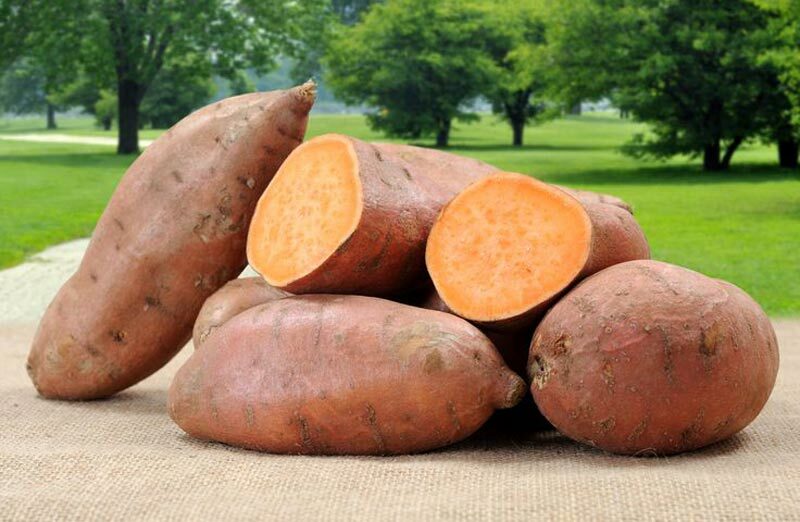 The pigments that give sweet potatoes their vibrant, orange color are called anthrocyanins. These compounds are powerful antioxidants and anti-inflammatories. 7. Sweet potatoes provide 50 percent of your daily manganese, which is nothing to sneeze at. 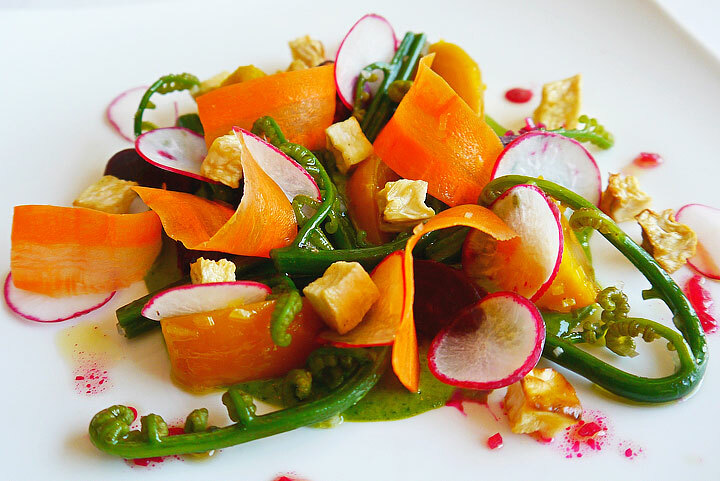 Manganese supports bone and skin health, and it helps control your blood sugar levels. Is there such a thing as too many sweet potatoes? There certainly can be. Like spinach and kale, sweet potatoes are high in oxalates. If you suffer from kidney or gallbladder issues, you may want to limit your sweet potato consumption. For people with healthy kidneys and gallbladder, this is not a concern. The only other real concern with sweet potatoes is its high vitamin A content. In moderation, vitamin A is a critical nutrient, but because it’s a fat soluble vitamin, it’s possible to eat too much of it. If you are eating sweet potatoes all day every day, you can experience a skin condition called Carotenemia, which causes your skin to turn orange. Carotenemia is most common in babies, but adults who eat too many orange vegetables like sweet potatoes and carrots can also turn orange. 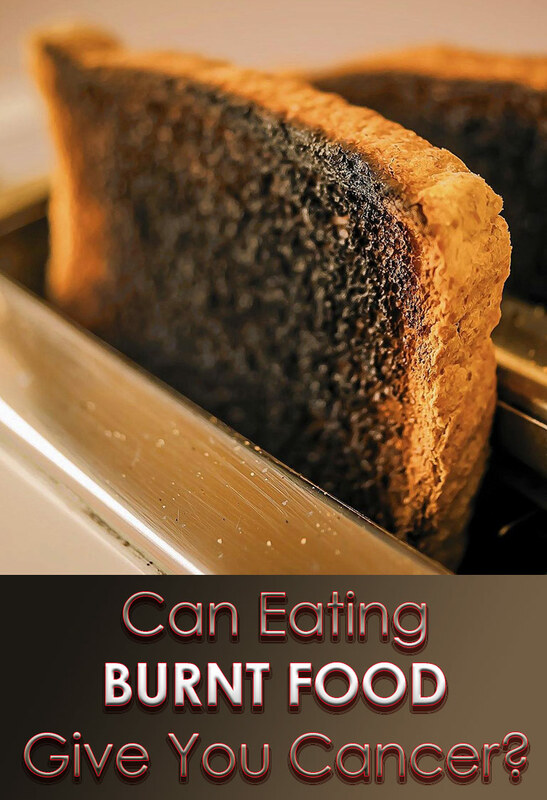 The good news is that backing off of orange foods for a while is all it takes to clear up this condition.